WWE always tries their best when it comes to a superstars return. Most returns are surprises that people love to see. Like the recent Dean Ambrose return was booked perfectly by the WWE. Fans would always go crazy for his return after 8 months of absence, but WWE's execution was amazing. While most of the times the fans like their decision, sometimes WWE gives them what they didn't ask for. 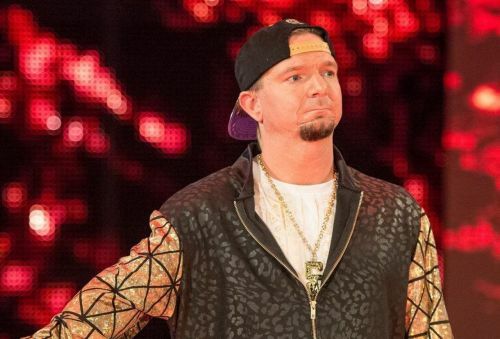 James Ellsworth first showed up on WWE TV in 2016. He was involved as the funny element in the AJ Styles - Dean Ambrose feud. He became more popular once he coupled with Carmella. Ellsworth helped Carmella win matches by distracting her opponents. He also helped her capture the Money in the Bank briefcase. On the November 7 episode of Smackdown Live, Ellsworth lost an intergender match to Becky Lynch and was attacked by Carmella afterward. This was his last appearance for WWE. At Money in the Bank 2018, Ellsworth returned to the company. He came out dressed as Asuka which distracted the "Empress of Tomorrow" and helped Carmella retain her title. This time the return didn't feel like fans wanted to see it. It was repetitive and WWE gave us a rewind of what happened a year before. The fans showed no signs of love towards this storyline and hence WWE booked an angle where Ellsworth was fired by Smackdown GM Paige.